Korean Air is set to resume its seasonal service between Seoul Incheon and St Petersburg. Russia’s second largest city is a gateway to northern Europe, a major financial and industrial centre in the country, specialising in oil and gas trade, machine building and pharmaceuticals. It is also well known for its rich heritage and plethora of museums. 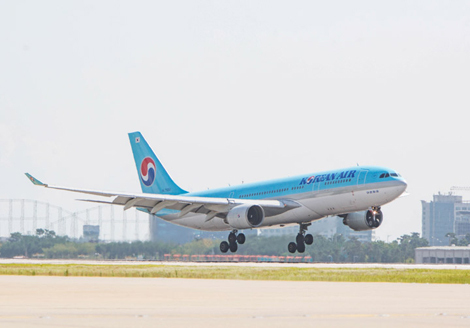 The South Korean carrier will operate the route three times a week from April 21 to October 27 with the A330-200. The aircraft will feature a three-class configuration, with six seats in first, 24 in business (Prestige) and 188 in economy. Operating every Tuesday, Thursday and Sunday, flight KE929 departs Seoul at 1755 and arrives in St Petersburg at 2130. The return service, on flight KE930, takes off from St Petersburg at 2300 and touches back down in Seoul at 1350 the following day.